It’s quite the irony. I was due writing a Centrefold piece titled ‘The Return of Pop’ – an article that was meant to celebrate Michael Jackson’s rejuvenation; and here I am, staging words for the opposite. The sudden death of the greatest entertainer of our time has shook the world, and from posh hotels in Los Angeles to downtown shacks in Tokyo, his wide range of international audience now mourn the loss of their most favourite artist. The beat of Michael Jackson crept into my generation back in the days when CDs didn’t even exist. At home, we had a few cassettes, namely the record-breaker ‘Thriller’ and the phenomenal Beat It. Its catchy tunes effortlessly inspired our naive sense of beat, and we’d often find ourselves echoing the lyrics under our breath. In 4th Grade, our class performed Jackson’s Heal the World, a number that has remained close to my heart ever since. It was, however, much later that I caught up to the man behind the songs and the steps, much of what has kept my generation and the ones before glued to their music stations or TV sets for hours. For those of us who’re still unaware, Michael Jackson was born in 1958 in Gary, Indiana. The Jackson family, comprising 9 children and 2 adults shared a small home, barely 900 sq. feet. In spite of the unavoidable difficulties, the talents of the children were recognized at an early age. The father, Joseph Jackson, played for a local R&B band, and imposed the need to learn music on his children. Michael, in his later life, would recall physical abuse from his father, who would pummel the young lad when he failed to impress with his vocals. At the age of six, Michael joined his brothers – Jackie, Tito, Jermaine and Merlon – to form what would later be known as The Jacksons. The band gained staggering popularly, particularly at the Midwest, and soon, beginning 1972, Michael released 4 solo albums under The Jacksons’ franchise. With joint collaboration with Quincy Jones, Michael released ‘Off the Wall’, the album which brought home awards and large commercial success. However, it was not until 1982 that the world truly began esteeming Michael Jackson as a solo artist through his blockbuster hit album ‘Thriller’. His unique voice, coupled with eclectic dance steps and creativity gave listeners worldwide a new definition of entertainment and MJ soon evolved into a brand of his own with the highest royalty record in the industry. As it is with any celebrity who walks on the red carpet at more than one occasion, the frantic media began looking past Michael’s musical success, and doting on his personal life. His rare skin conditions, vitilus and lupus caused his skin to pale rapidly, and the issue soon became a tool of mockery and debate at the gossip clubs. Embarrassed, Michael began putting on excessive makeup to cover up the flaws of his skin, and by 1990, had undergone 10 surgeries on his face alone. In tandem to his music and frail physique, Michael was widely known for his charity affairs. He supported over 39 humanitarian organizations globally, and restructured ‘Neverland Ranch’, one of the largest private theme parks across the globe dedicated to children. It was here in 2005, at Michael’s beloved Neverland that Martin Bashir from Granada Television charged Michael of molesting a 10-year old at a private interview. Michael apparently admitted sleeping with the child and described it to be a “beautiful thing”. The allegations were later dropped as it was proven that the Michael had only slept with the child with the absence of any form of sexual or offensive activities. However, the scandal, now second to the earlier allegations of child molestation from 1993 led to a tragic drop in his popularity, and the traumatized artist resumed to a quiet life with his three children. After stepping outside the musical scene for over a decade, the unarguable ‘King of Pop’, Michael Jackson signed for a comeback, a series of 50 dates offsetting in July 2009 in London as the finale to his career. Unfortunately, the finale came much earlier when he suffered full cardiac arrest on June 25th at his Los Angeles home and bid farewell to millions of fans from every walk of life and every corner of the earth. Michael Jackson’s untimely death is indeed a grand blow to the industry. Being one of the most phenomenal entertainers of all time, an all-rounder who sang, danced, wrote and produced his own numbers, Michael’s life is a saga of controversies. Brewed largely by delirious media reports, Michael may be termed as the most polemic artist of his time and a ravaged victim of paparazzi and tabloids. However, in real life, Michael was proven wrongly accused of everything, and it is this that shows how people tried to rip off benefits from him and turned him from a world-class superstar into a retreated monster. For my generation, my peers and I recall growing up to MJ’s hits. They were ecstatic, in the sense they shared an opinion while adding a beat – a rare combination to be found nowadays and he had remained an all-time favourite to many. 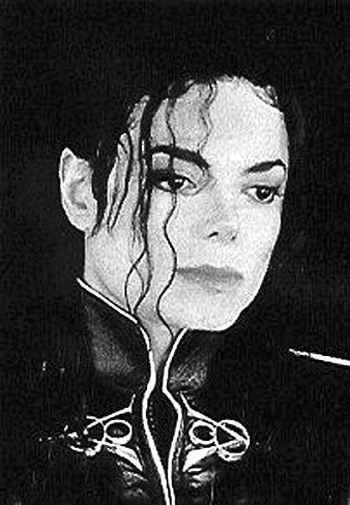 His outspoken numbers such as Bad, Black or White and They Don’t Really Care About Us are a reflection of his deep thoughts, and perhaps guts that should be replicated by today’s artists who seem to have sacrificed their morals over entertainment and commercial successes. MJ’s fall was not solely brought by his own flaws, but by a hungry lot of untrained media goons. Coming from an already controversial background with a colour that affected the US subtlety of racism, MJ’s incredible success and inadvertent influence worldwide, particularly on the young crowd was undoubtedly an issue of jealousy and unprecedented gossip for many. Whether in time, the world will learn to separate his music from his persona, his electrifying performances from his secluded lifestyle is a debate of its own. For now, Michael Jackson’s death is not a standalone, and signifies the death of pop since he was, at the end of the day, one of the few artists with a massive outreach who knew what his music was doing. The music scene will surely miss that magic and feel that deficiency for a very long time. For my generation, my peers and I recall growing up to MJ’s hits. They were ecstatic, in the sense they shared an opinion while adding a beat – a rare combination to be found nowadays and he had remained an all-time favourite to many. His outspoken numbers such as Bad, Black or White and They Don’t Really Care About Us are a reflection of his deep thoughts, and perhaps guts that should be replicated by today’s artists who seem to have sacrificed their morals over entertainment and commercial successes. MJ’s fall was not solely brought by his own flaws, but by a hungry lot of untrained media goons. Coming from an already controversial background with a colour that affected the US subtlety of racism, MJ’s incredible success and inadvertent influence worldwide, particularly on the young crowd was undoubtedly an issue of jealousy and unprecedented gossip for many. Whether in time, the world will learn to separate his music from his persona, his electrifying performances from his secluded lifestyle is a debate of its own. For now, Michael Jackson’s death is not a standalone, and signifies the death of pop since he was, at the end of the day, one of the few artists with a massive outreach who knew what his music was doing. The music scene will surely miss that magic and feel that deficiency for a very long time.